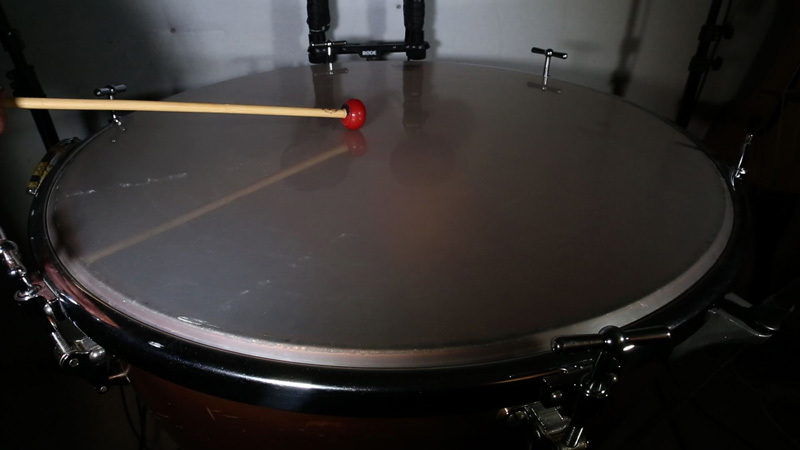 A pair of vintage Ludwig Timpani came up for sale on a local auction site, and my interest was immediately sparked. 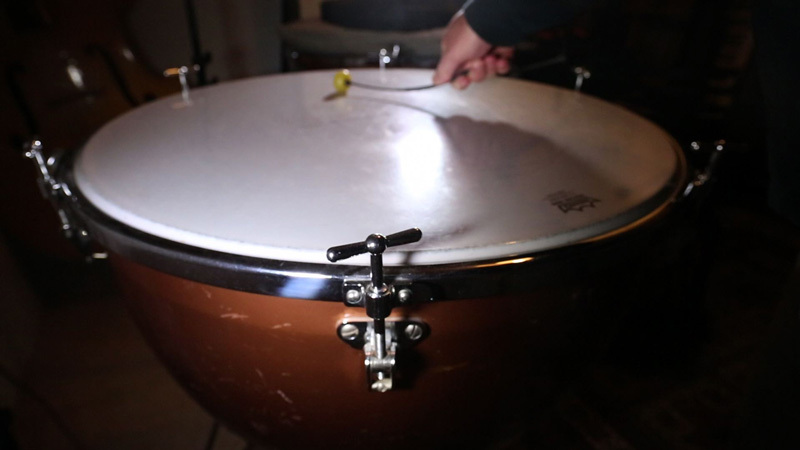 What would I do with a pair of Timpani? What could I do with all that incredibly beautiful tuneable resonance? The answer came from 18,000km away, via a genius in The Czech Republic. 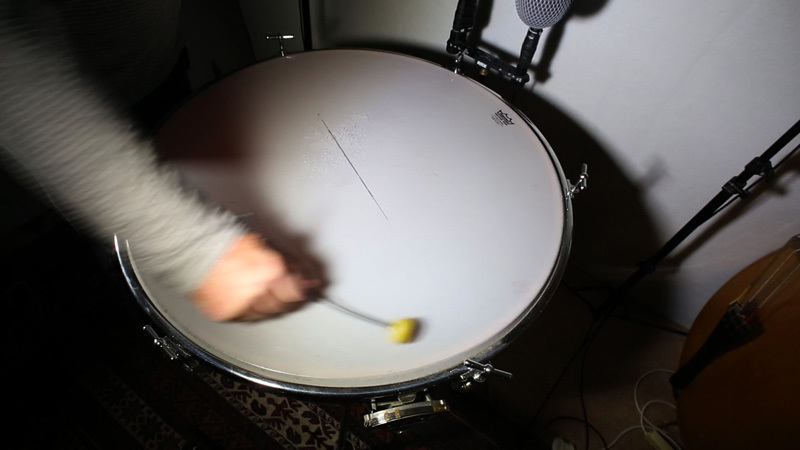 While researching extended techniques I came across a demo video by percussion mallet manufacturer František Škrla that straight up blew my mind. 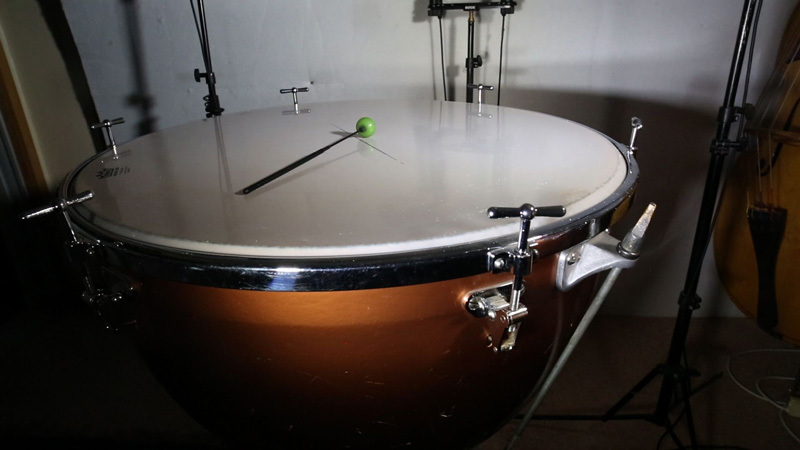 I thought I knew what Timpani sounded like, but the sounds he created were like nothing I had heard before, and ranged in tonality from exquisitely beautiful to downright terrifying. 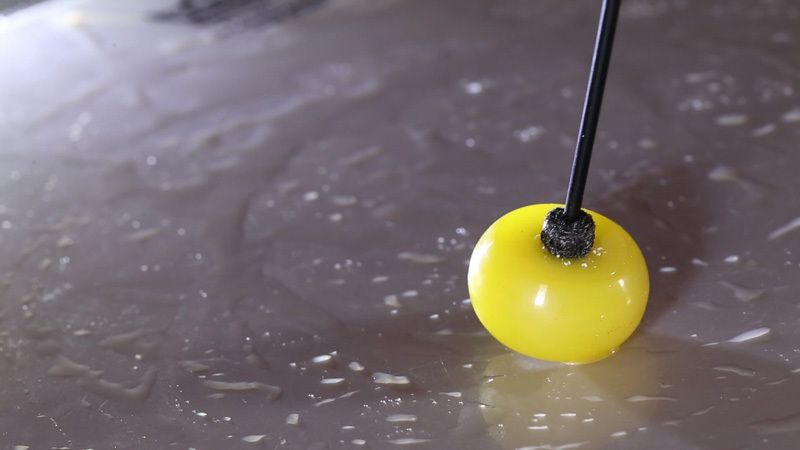 By developing unique rubber mixtures and casting, these FSKRLA friction mallets have a ridiculous power of ‘grippyness’ and in combination with a very flexible handle an inordinate amount of pressure can be applied to the timpani membrane. 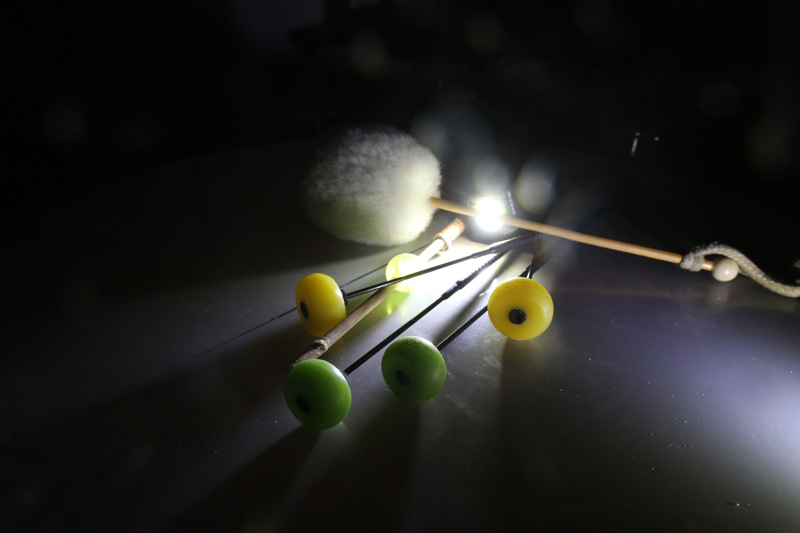 And while this enables very powerful sounds, it is in more subtle use that these mallets really sing, creating ethereal tones evocative of more flowery descriptions than I am prepared to provide! So please take a quick listen to the demo video to get a feel for the depth and range of this new library. At times the variation and rich swell of harmonics almost resembles feedback! Our subwoofer loves the bass frequencies generated, but at half speed this library becomes both mesmerising and terrifying! 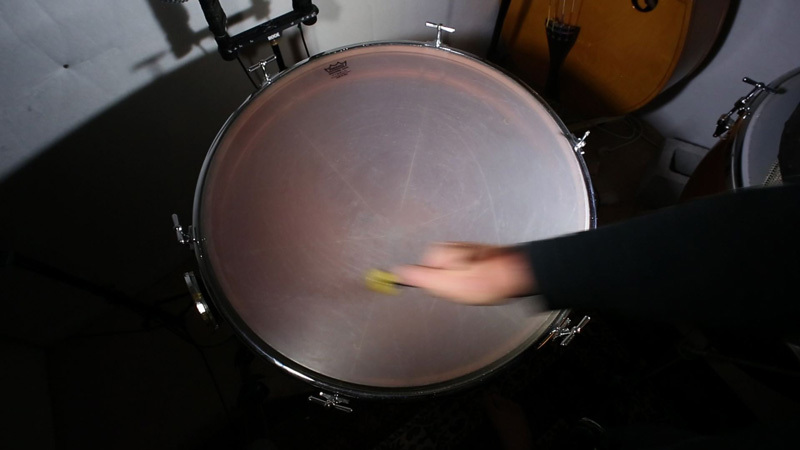 Of course we also explored hits and impacts with a range of mallets, with some evoking an acoustic 808 boom, but interesting variations were also captured by applying pitch bend to the timpani while it was detuned, with pressure applied direct to the surface. 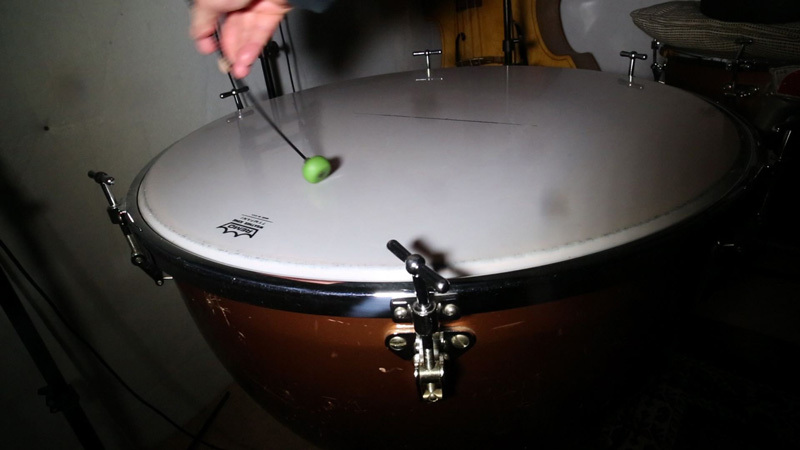 We also experimented by wetting the timpani membrane to create squeaks and scrapey elements, and also achieved some surprisingly good results by bowing mallets!